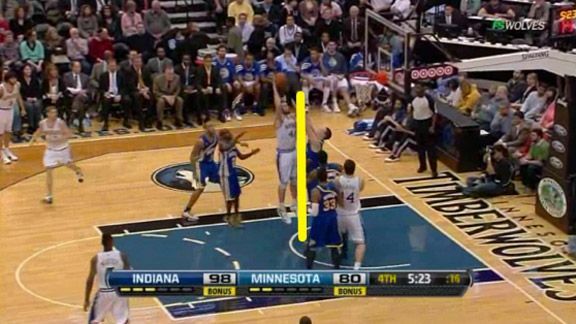 Kevin Love is a shooter before anything else. Even though we would expect him, as a power forward, to be comfortable playing close to the basket, the centerpiece of Love’s game is his jump shot. He often struggles to score in the post, though it isn’t for lack of trying. According to Synergy Sports, Love posts up on 21.9 percent of his possessions — more than any other type of play this season. But Love shoots just 41.2 percent in the post and scores 0.881 points per possession, which places him in the 62nd percentile of NBA players. Sure, that may be better than over half the league, but as a power forward, Love should do better. 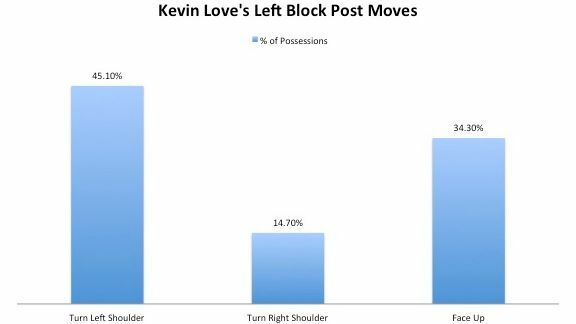 Love likes to operate on the left block — 73.9 percent of his post-up possessions start there. From this position, Love can turn left and drive, turn right and drive, or he can just face up and shoot. Take a look at this graphic, which breaks down how often he chooses each option. None of these numbers are particularly surprising. Because Love is primarily a shooter, he faces up fairly often. He favors turning left because he is right-handed, and this move allows him to get the ball to his right hand. Also, Love has a reliable hook shot that he likes to use after he turns left. Love gets good extension and uses his body well when he goes straight up. He doesn’t turn too much, which keeps his body between the defender and the ball and helps prevent blocked shots. Love makes 60 percent of his hook shots and scores 1.188 points per possession on them, which is among the top 12 percent of the league. When Love turns to the middle, he shoots the hook 34.8 percent of the time. Although he probably shouldn’t attempt more hook shots, the move could be more effective if he developed it further. One time this season, Love added an up-and-under. He showed the basketball, brought it back down, and caught the defender off guard. If he used counters like this more often, he’d be much more dangerous in the post. Love is still at his best when he plays off his jump shot. When he drives through the middle following a face-up, he’s posting only 0.667 points per possession. But when he faces up and shoots from the left block, his PPP is 1.07. He’s even better when he drives along the baseline out of a face-up. In those situations, Love posts a PPP of 1.80, which means he almost always scores. In this play, Love does a good job of using the threat of his jump shot to get the defense off balance. His defender, Luis Scola, is so attuned to guarding Love’s face-up jumper that he crowds Love and falls for a shot fake. This allows Love to get a step ahead of Scola when he drives. Then, as Scola hustles to catch up, Love stops on a dime at the last moment and shoots his hook. Scola is caught flat-footed and Love drops the shot through the net. And yet for all his dexterity in the post, Love still struggles. He’s a great shooter, but his dependence on that jump shot can be a liability. He also turns the ball over 12.7 percent of the time when he posts up on the left block. That’s way too much for a player in his comfort zone. Sometimes, as in the video below, Love pump fakes so much that it gives the defense opportunities to swipe at the ball. His dependence on jumpers can also hurt him in the post. When Love turns toward the middle for a jump shot, which he does 26.1 percent of the time, he shoots just 12.5 percent. In these possessions, he rushes his shots and he fails to execute fundamentals like setting his feet before going up, and the results tend to be bad. Love shouldn’t stop facing up and looking for his jump shot in the post. That’s a staple of his game. But to become more effective, he needs to develop more counters off that initial jump-shot threat and then use them more often and with more finesse. 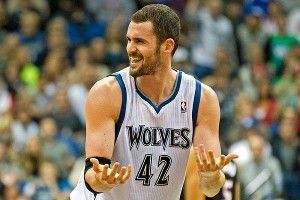 His numbers are decent, but now that Kevin Love is considered one of the top two or three power forwards in the NBA, he needs to add a little touch of power to his game and become a real low-post threat.